This fascinating trip covers everything from grooming the huskies to learning how to drive a dog sledding team. 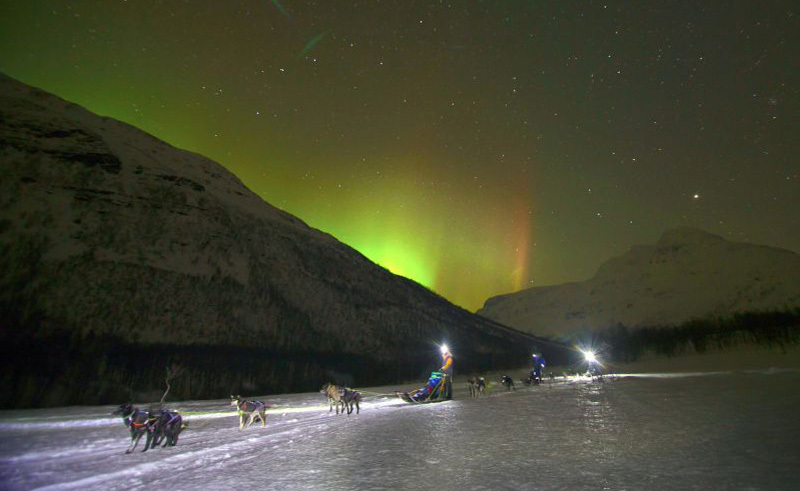 You are transferred from Tromsø centre to Camp Tamok (journey 75 mins), and on arrival giving winter clothing before learning how to drive your own dog sled. You will travel through the winter landscapes through the beautiful valley of Vass – approximate distance 15 km. You will be able to drive in pairs, one driver and one passenger on each sled with the opportunity to swap around half way (please note children under 12 yrs as passengers only), and stopping along the way to search for northern lights*. A hot meal is included after the activity as well as outer clothing and footwear. * Northern light sightings cannot be guaranteed.